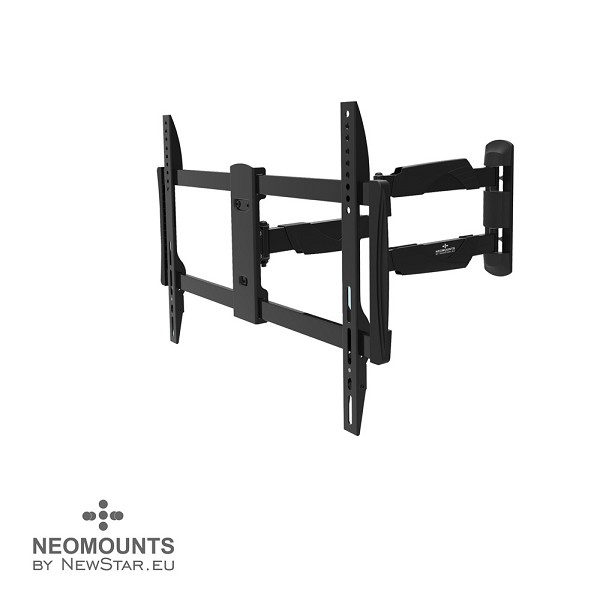 The NewStar wall mount, model NM-W460BLACK is a full swing tilt- and swivel wall mount for flat screens up to 60”. This mount is a great choice when you want the ultimate viewing flexibility with your flat screen TV. Effortless pull the display out from the wall, position it in almost any direction, turn it around corners and then smoothly return it to the wall when finished. NewStars’ tilt (25°) and swivel (180°) technology allows the mount to change to any viewing angle to fully benefit from the capabilities of the flat screen. The mount is easily depth adjustable from 5 to 61 centimetres. An innovative cable management conceals and routes cables from mount to flat screen. Hide your cables to keep living room, bedroom or home cinema installation nice and tidy. 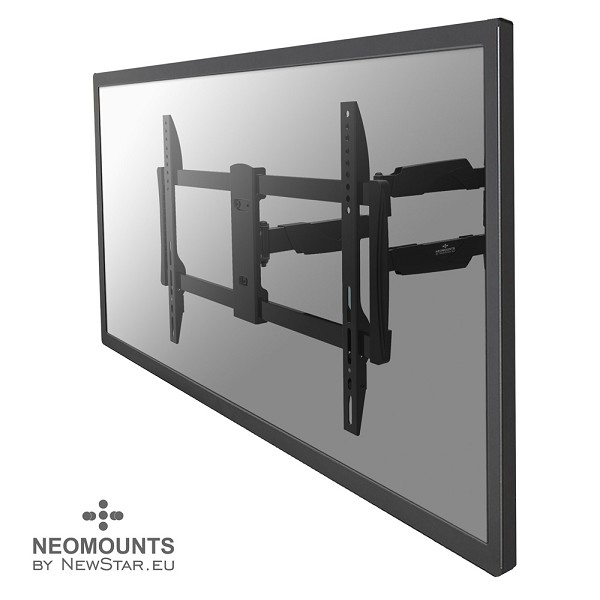 NewStar NM-W460BLACK has three pivot points and is suitable for screens up to 60" (150 cm). The weight capacity of this product is 30 kg. The wall mount is suitable for screens that meet VESA hole pattern 200x200 to 600x400mm. Different hole patterns can be covered using NewStar VESA adapter plates.